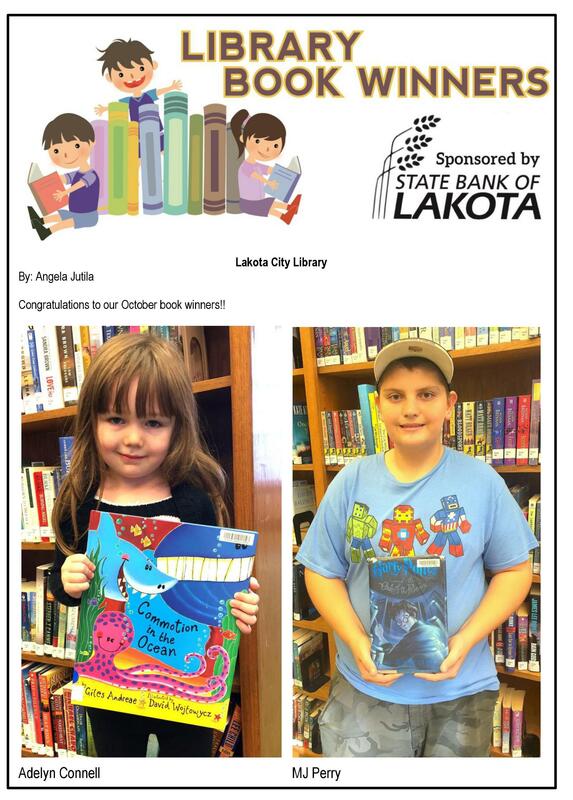 Congratulations to our October Book Winners!!! Huge THANK YOU to the State Bank of Lakota for sponsoring this program!! !